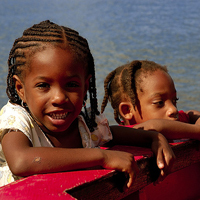 The state of children’s rights in Saint Lucia is worrisome. Many children are subjected to various forms of abuse and exploitation, including sexual violence, corporal punishment, and forced labor. 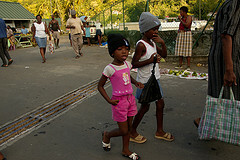 More than 25% of the population of Saint Lucia lives under the poverty line. Nearly half of all children live in homes that do not always have enough food and these children live without secure access to food. The practice of corporal punishment is not legally prohibited in Saint Lucia and remains a legal way to discipline children. Corporal punishment is even practiced and advised as a preferred form of discipline. Any parent, teacher, or legal guardian is allowed to administer a “reasonable” punishment in this way. Around 30% of parents with children under 12 administer violent punishment. Most of the time, these punishments take the form of spankings with an object (stick, belt, shoe). 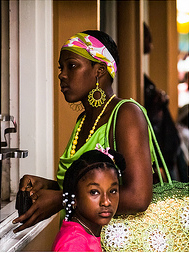 It is difficult to estimate the actual extent of the problem of sexual abuse in Saint Lucia. The most common cases of sexual violence involve a young woman and a male member of her family. Certain investigations reveal that women often turn a blind eye while their husband has sexual relations with a child in their family. This kind of situation can arise for a number of reasons, notably poverty, patriarchal attitudes, cultural norms, and the persistence of a cycle of violence in which people who were victims of sexual violence as children become aggressors themselves as adults. 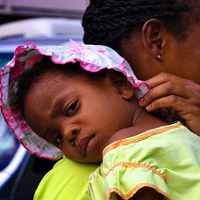 In 2011, the government department in charge of child protection in Saint Lucia estimated that there were 254 declared cases of children being subjected to sexual violence. Saint Lucia has no classification for dangerous jobs or regulations regarding working conditions. Child labor exists in rural areas. For example, some school-aged children help their parents harvest bananas. In general, children work on urban restoration on their days off from school and during festivals. No formal report exists regarding violations of child labor laws. Saint Lucia’s education system doesn’t guarantee universal access to education, particularly secondary education. Teen mothers who are still school-aged end their studies and many boys also drop out of school. Daycare services are accessible to less than 20% of the appropriate age group. The number of children born underweight continues to increase. On the other hand, the rate of childhood obesity is on the rise, along with associated long- and short-term illnesses. Children’s health education programs are seriously lacking. Furthermore, the rate of new cases of HIV/AIDS and other sexually transmitted diseases is high among teenagers. Another troubling fact is that Saint Lucia does not adequately confront teen health issues such as mental, developmental, and reproductive health problems. According to the results of the Survey on Youth Health in Saint Lucia, the consumption rate of drugs and alcohol by children aged 10-19 is high. Boys are around four times more likely to drink than girls. In terms of tobacco consumption, over 11% of children have already smoked a cigarette. Although illegal, smoking marijuana is common among teenagers.